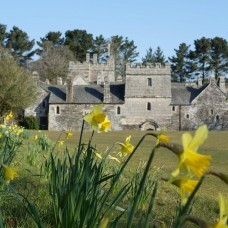 In the woods above the tidal River Tamar nestles Cotehele, built by the Edgcumbes in Tudor times. It is a house of many stories, myths and legends. Lanhydrock is the perfect historic country house and estate. Explore the high-Victorian interiors of this wealthy but unpretentious family home, and discover evidence of the Robartes family all around the house. Faced in silver-grey Pentewan stone and flanked by colonnaded wings of mellow brick, this classically beautiful house is a beguiling mixture of the formal and informal, the venerable and the modern.